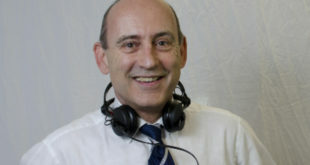 Bryony October begins work with British singer-songwriter using compact digital console. 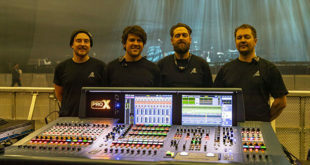 Bryony October, front of house engineer and production manager for British singer-songwriter Delilah, has switched to a Soundcraft Si Performer digital console. 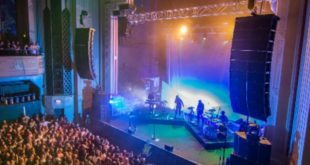 October was after a desk offering at least 31 inputs, which was capable of mixing the five-piece band’s in-ear monitors from front of house. The console also needed to be small enough to fit into a splitter van – along with IEM rack and mics. The engineer has experience with using Soundcraft products in the past, having worked with Noisettes’ lead singer Shingai Shoniwa on a Vi1. October was offered the role by tour manager Tim Boardman, and went straight into production rehearsals with Delilah, who is perhaps best known for her collaboration with Chase & Status. 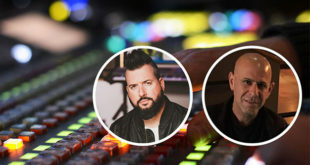 The entire show mix is placed on the desk’s top layer, with October sub-mixing the drums to a group bus, as well as Delilah’s vocals and some of the drums to the Lexicon effects.